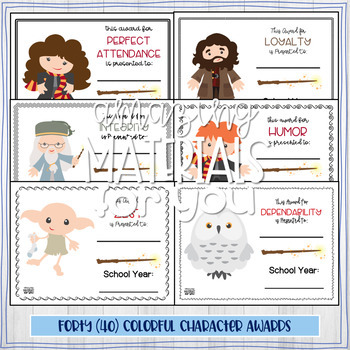 I have created 80 different character awards - 40 color and 40 black and white - with a Harry Potter theme. Certificates come in both ***EDITABLE*** (for those who prefer to type student names and dates) and non editable (for those who prefer to use hand lettering to personalize certificates) versions! 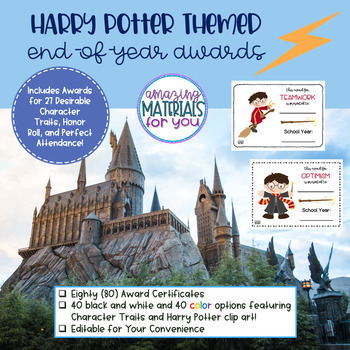 Certificates for Perfect Attendance and Honor Roll are also included!